LHUCA is the perfect setting for all occasions – from wedding receptions, corporate functions and theatrical presentations, to holiday parties, anniversaries, reunions, proms and graduations. if you have problems with the form, please call or email Lyndsey Walton for an appointment to view our beautiful art campus for your next event. Longer term theatrical/dance performance and rehearsal packages are available. Upscale elegance mingled with contemporary art makes this one of the most desirable spaces in the city for your event. Rental of the Exhibition Hall includes the Helen DeVitt Jones Studio, the Martin McDonald Gallery and the Lott Gallery. The Helen DeVitt Jones Studio provides space for receptions, meetings, lectures, luncheons, and classes. This space offers video projection for screenings, Powerpoints, and DVD presentations with the added element of surround sound. The Firehouse Theatre is a state-of-the-art multipurpose facility located inside LHUCA. With seating for 159, the Firehouse is the perfect setting for theatre, film screenings, lectures, dance, and performance art. Our 14-speaker custom sound system offers full recording capabilities and 5.1 surround sound mix. The home of the Flatland Film Festival, the Firehouse provides multiple video projection capabilities. With its backstage dressing rooms, and hospitality room, the Firehouse is ready to make your production the best it can be. 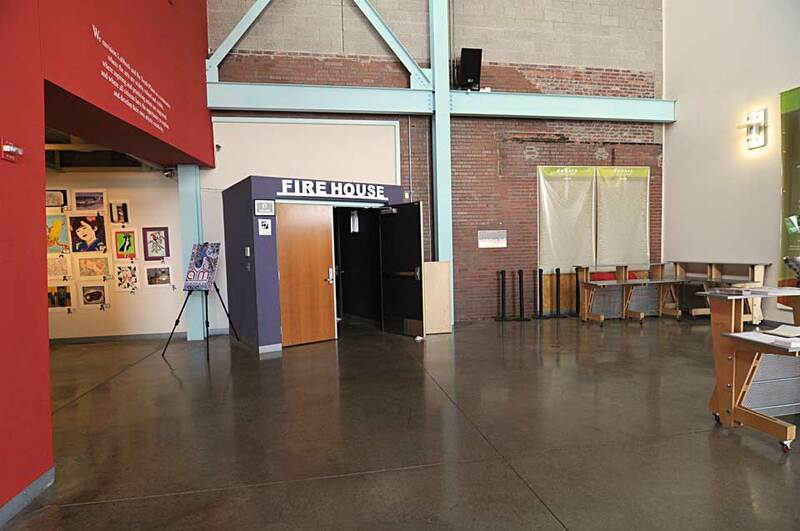 The largest of LHUCA’s multi-use spaces, the Christine DeVitt Icehouse has an industrial feel and will accommodate up to 280 people for your event. This space can accommodate large functions such as parties, dinners, and lectures. This versatile hall, with sprung dance floor, also serves as a rehearsal and performance space for dance, music and performance art programs throughout the year. LHUCA reserves the right to refuse service.